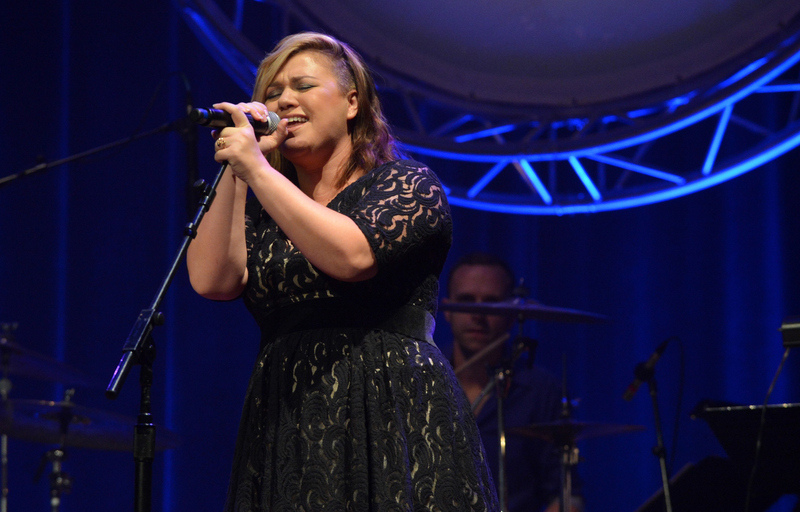 Clear your calendars this summer, because Kelly Clarkson is touring with Pentatonix and Eric Hutchinson. The OG American Idol winner is embarking on a U.S. tour for her new album Piece by Piece , out March 3, with the famed a cappella group and her frequent tour mate Hutchinson (he opened for her in 2009 and 2010). The 36-date tour will kick off in Hershey, PA on July 11 and end in Camden, NJ on Sept. 20. This is the first big tour she's done since 2013 when she played with Maroon 5 in the Honda Civic Tour, but she's been busy tackling marriage and motherhood since then. Have you seen her adorable daughter, River Rose? Yeah, I'd stay home with her as long as possible, too, but I'm glad Clarkson is back and better than ever. To get yourself psyched for the new tour, jam out to Piece by Piece — which is full of awesome feminist and empowering messages — and watch her awesome medley of duets with Jimmy Fallon on The Tonight Show. If that's not enough, you can also watch Pentatonix cover Clarkson's "Since U Been Gone" and prepare yourself for some epic team-ups on stage. They have to sing together, right? Check out the video and all the tour dates below. Pre-sale begins today for fan club members, with general pre-sale starting March 13.